Our Wales writing pages with their cartoon pictures make a fun way to present project work. Choose from colour or black and white. Use our Caernarfon Castle writing page to plan or record a visit or to write up research on the history of the castle. Corgis are of course the Queen's favourite dog! Write about this cute breed of pooch on our lovely writing page. We've got two versions to choose from below (colour, or black and white. 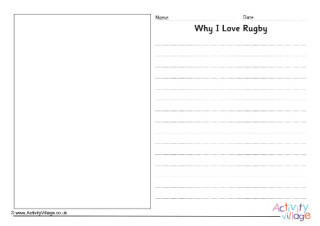 Here is our standard "writing page" - in colour and black and white - for our Daffodil theme. Use it for nature study, or perhaps some poetry or creative writing. Use these Saint David writing pages to write about St David's Day or the patron saint of Wales. Choose from colour or black and white below. Our Tintern Abbey writing page allows children to write up their own research into the history of this historic landmark or to record mamories of a visit. Write about Wales, or about St David's Day, or just about dragons! This writing page, which comes in colour or black and white, makes the writing fun! Use this writing page, with a picture of a little girl dressed in traditional Welsh costume, for any writing activities for Wales generally or perhaps St David's Day. It comes in both colour and black and white for the kids to colour in themselves.